Toyota is a city located about 30 km south-east of Nagoya, totally part of its metropolitan area. Formerly known as Koromo, in 1959 it officially changed its name to the current one in honor of that colossus that within a few years would have become one of the largest car manufacturers in the world, and that was born in this town thanks to the ingenuity of Sakichi Toyoda. As you can imagine, this city is famous today exclusively for the presence of the headquarters of Toyota Motor, the leading manufacturer of motor vehicles in the world. 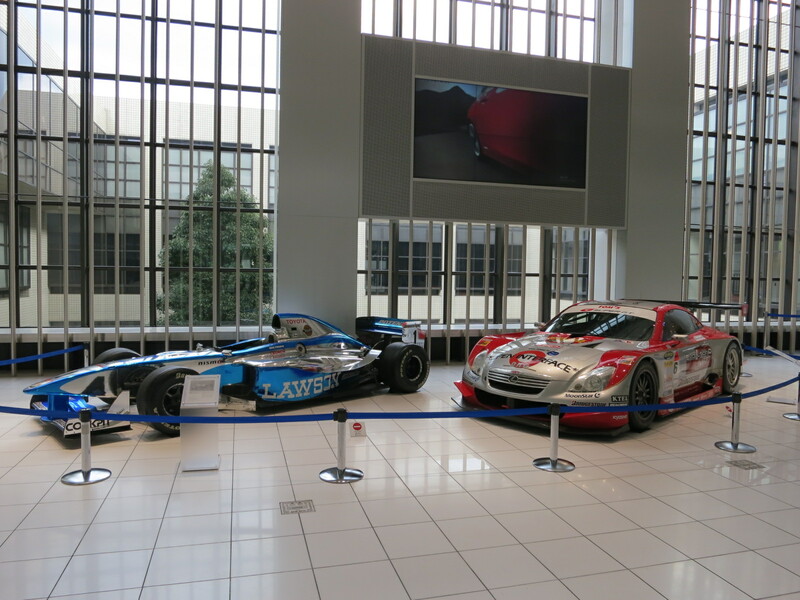 Next to the company headquarters there is a museum, the Toyota Kaikan Museum, which is also the starting point of the daily guided tours (free of charge) to the nearby assembly plant of Motomachi. 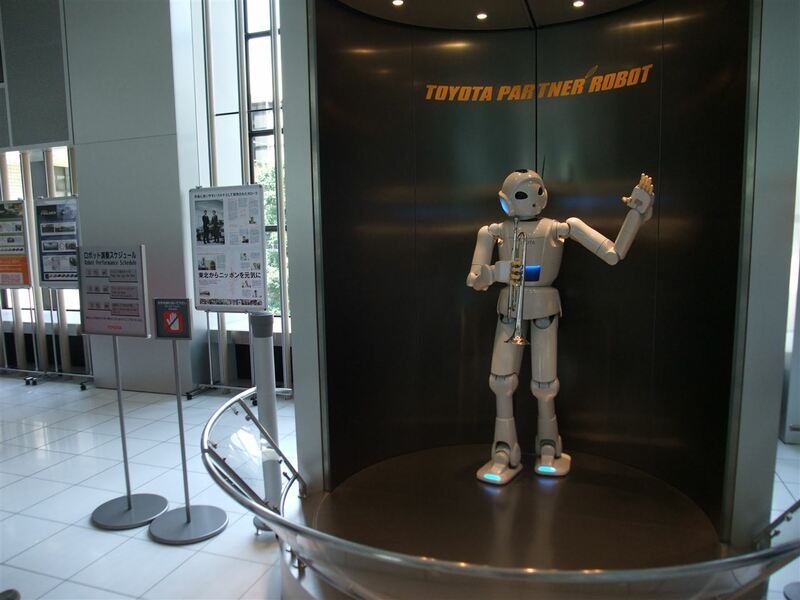 You will find a trumpet robot to greet you at the entrance, part of a series of cutting-edge robots developed for the Universal Exhibition of 2005 (which took place precisely in Nagoya), and known as Toyota Partner Robot. The robot performs in short concerts several times a day (hours here). 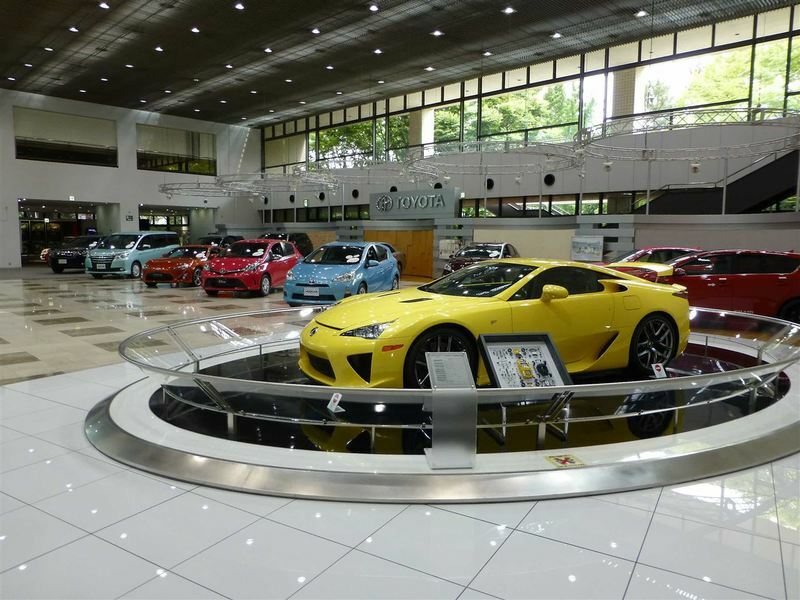 This museum is primarily a large showroom which displays many Toyota and Lexus cars and prototypes, there are other showrooms like that scattered around Japan. Other smaller sections of the museum concern technologies for road safety, the participation of Toyota in motor sports, and the process of production of automobiles illustrated through a virtual visit to a manufacturing plant. Inside the structure there is also a gift shop, a starbucks coffee and a restaurant. 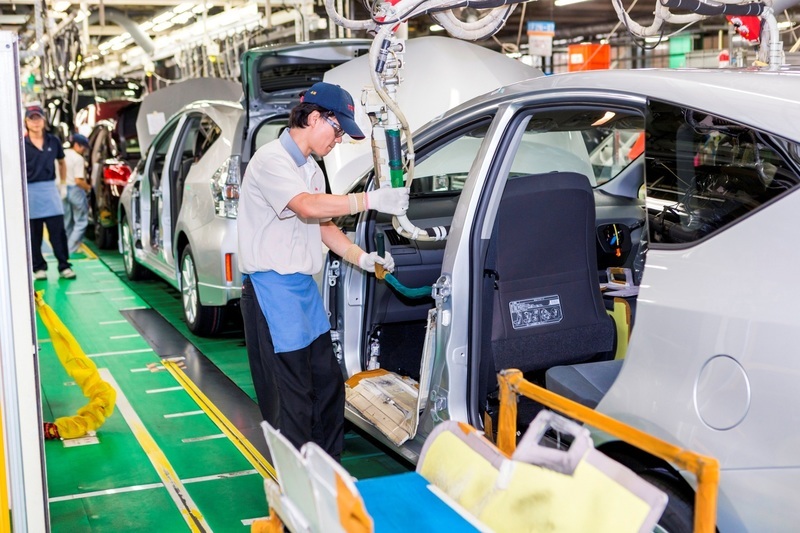 The Toyota Kaikan Museum is also the starting point of guided tours to a nearby factory of Toyota, they will bring you there by bus. You can join these tours for free. These guided tours take place once a day, from Monday to Friday, from 10:30 to 13. Tours are available in both English and in Japanese, but the most important thing to know is that is absolutely necessary to book in advance, at this english page you can do that easily, choosing the day and the language of the tour (Japanese or English). The tour is very interesting, especially for example if you are engineers, but in general for everyone. I would say that if your plan is not only to visit the museum but also the plant, then in this case it is worth going up to Toyota. The municipal art museum of the city of Toyota, located on a hill about 1 km from Toyotashi station, but quite far from the Toyota museum (about 4 km to the south). 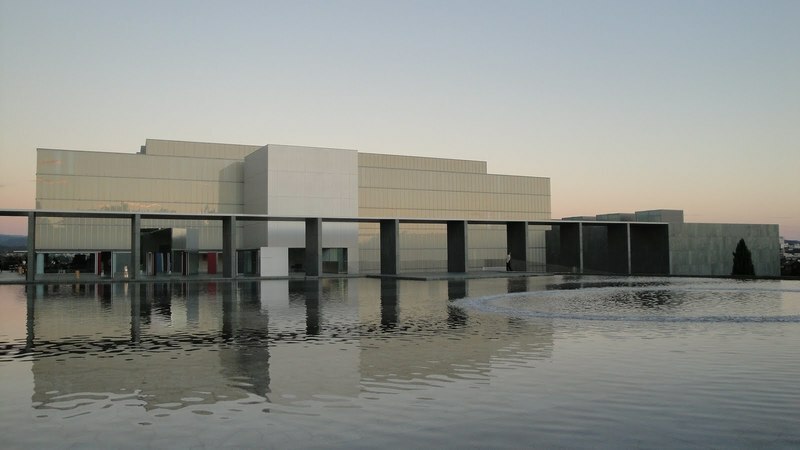 A museum which is usually never included in any tourist itinerary, it exhibits its collections in a beautiful building surrounded by fountains and gardens, designed by Yoshio Taniguchi, an architect who became famous after having designed the MOMA in New York. The museum's collection includes paintings, sculptures and objects of Japanese artists of the Meiji period and of many contemporary artists. There are also a few pieces from the West, including two works by Salvador Dali and one by Gustav Klimt. Absolutely not recommended to sleep in this area because of the distance from the center of Nagoya, unless you're going there for business purposes. Near Toyota station there's the good Meitetsu Toyota Hotel. It is very curious to read that the city of Toyota, home of the largest car manufacturer in the world, is also the largest city of Japan (over 400 thousand inhabitants) which is not served by any station of JR (Japan Railways). The access from the central areas of Nagoya is not that easy. The nearest station to the Toyota Kaikan Museum, about 1 km away, is Mikawa-Toyota station, served by the Aichi Loop Line. Getting to this station requires a fairly long journey from the central areas of Nagoya, and requires two or more changes of lines of different companies for a total of 900 yen at least. One of the best alternatives may be to reach Toyotashi station through the lines of Meitetsu and at least one between JR and the subway, and once you get there walk up to the nearby Shintoyota station, where you can finally take the Aichi Loop line to Mikawa-Toyota (20 minutes, 230 yen). The Toyota Municipal Museum of Art is located about a kilometer south of Toyotashi station.